During the week of July 18th, The Open Group hosted over 200 attendees from 12 countries at the Four Seasons hotel on the beautiful banks of Lady Bird Lake in Austin, Texas, USA. On Monday, July 18, Steve Nunn, President and CEO of The Open Group, welcomed the audience and set the stage for all the great upcoming speakers and content. Steve’s remarks included the recent release of the Open Business Architecture (O-BA) Preliminary Standard Part I to Support Business Transformation. This is the first in a series of installments that will help Business Architects get to grips with transformation initiatives and manage the demands of key stakeholders within the organization. Steve also referenced William Ulrich, President, Business Architecture Guild, who consulted on the development of the standard. The plenary began with Jeff Scott, President, Business Innovation Partners, with his presentation “The Future of Business Architecture, Challenges and Opportunities”. Jeff stated some interesting facts, which included noting that Architects are among the best and brightest members of our organizations. He also stated that Business Architects need support from a wide group of senior managers, not just the CEO. The ultimate goal of Business Architecture is not to model the organization but to unlock organizational capacity and move forward. The Business Architecture (BA) theme continued with Aaron Rorstrom, Principal Enterprise Architect, Capgemini. Aaron further elaborated on The Open Business Architecture (O-BA) Standard. The O-BA Standard provides guidance to companies for establishing BA practice and addresses three transformation challenges: consistent communication, alignment and governance, systemic nature. The sessions were followed by Q&A moderated by Steve Nunn. Up next was “ArchiMate® 3.0 – A New Standard for Architecture” with Marc Lankhorst, Managing Consultant and Service Line Manager, Enterprise Architect, BiZZdesign and Iver Band, Enterprise Architect, Cambia Health Solutions. Marc and Iver discussed practical experiences and a Healthcare case study, which included a discussion on personal health and wellness websites. ArchiMate®, an Open Group standard, provides a language with concepts to describe architectures; a framework to organize these concepts; a graphical notation for these concepts; a vision on visualizations for different stakeholders. ArchiMate 3.0 has recently been released due to: the increasing demand for relating Enterprise Architecture (EA) to business strategy; technology innovations that mix IT and physical world; usage in new domains (i.e. manufacturing, healthcare, retail); improved consistency and comprehensibility; improved alignment between Open Group standards, notably TOGAF®. The final session of Monday’s plenary featured a panel on “Architecture Standards Development” with Marc Lankhorst, Iver Band, Mike Lambert (Fellow of The Open Group) and Harry Hendrickx (Business Architect, Hewlett Packard Enterprise). Moderated by Chris Forde, GM, Asia Pacific and VP, Enterprise Architecture, The Open Group, the panel represented a diverse group of the population contributing to the development of open standards. In the afternoon, sessions were divided into tracks – Security, ArchiMate, Open Business Architecture. Don Bartusiak, Chief Engineer, Process Control, ExxonMobil Research & Engineering presented “Security in Industrial Controls – Bringing Open Standards to Process Control Systems”. Don went into detail on the Breakthrough R&D project which is designed to make step-change improvement to reduce cost to replace and to increase value generation via control system. ExxonMobil is working with The Open Group and others to start-up a consortium of end user companies, system integrators, suppliers, and standards organizations for sustained success of the architecture. Also featured was “Applying Open FAIR in Industrial Control System Risk Scenarios” by Jim Hietala, VP, Business Development and Security, The Open Group. The focus of ICS systems is reliability and safety. Jim also shared some scenarios of recent real life cyberattacks. The evening concluded with guests enjoying a lively networking reception at the Four Seasons. Day two on Tuesday, July 19 kicked off the Open Source/Open Standards day with a discussion between Steve Nunn and Andras Szakal, VP & CTO, IBM U.S. Federal. Steve and Andras shared their views on Executable Standards: convergence of creation of open source and innovation standards; the difference between Executable Standards and traditional standards (i.e. paper standards); emergence of open source; ensuring interoperability and standardization becomes more effective of time. They further explored open technology as driving the software defined enterprise with SOA, social, Open Cloud architecture, e-Business, mobile, big data & analytics, and dynamic cloud. A panel session continued the conversation on Open Standards and Open Source. The panel was moderated by Dave Lounsbury, CTO and VP, Services for The Open Group. Panelists were Phil Beauvoir, Archi Product Manager, Consultant; John Stough, Senior Software Architect, JHNA, Inc.; Karl Schopmeyer, Independent Consultant and representing Executable Standards activity in The Open Group. Topics included describing Archi, Future Airborne Capability Environment (FACE™, a consortium of The Open Group) and OpenPegasus™, an open-source implementation of the DMTF, CIM and WBEM standards. 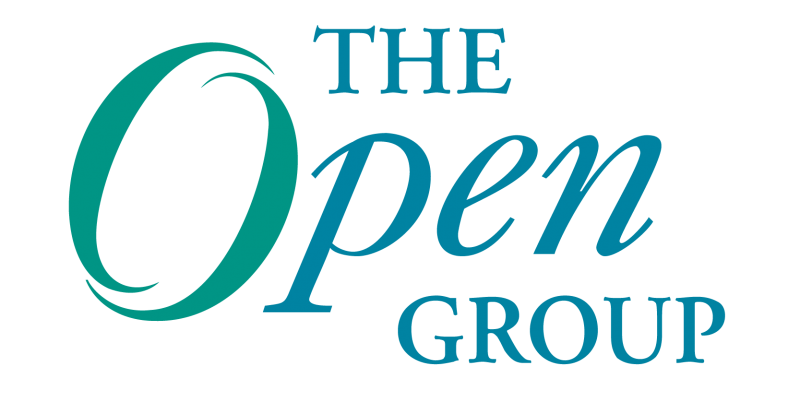 The Open Group solves business problems with the development and use of open standards. Interoperability is key. Generally, no big barriers exist, but there are some limitations and those must be realized and understood. Steve presented Karl with a plaque in recognition of his outstanding leadership for over 20 years of The Open Group Enterprise Management Forum and OpenPegasus Project. Rick Solis, IT Business Architect, ExxonMobil Global Services Co. presented “Driving IT Strategic Planning at IT4IT™ with ExxonMobil”. Business is looking for IT to be more efficient and add value. ExxonMobil has been successfully leveraging IT4IT concepts and value chain. The IT4IT™ vision is a vendor-neutral Reference Architecture for managing the business of IT. Rich emphasized people need to think about the value streams in the organization that add up to the business value. Furthermore, it is key to think seamlessly across the organization. Joanne Woytek, Program Manager for the NASA SEWP Program, NASA spoke about “Enabling Trust in the Supply Chain”. SEWP (Solutions for Enterprise-Wide Procurement) is the second biggest IT contract in the US government. Joanne gave a brief history of their use of standards, experience with identifying risks and goal to improve acquisition process for government and industry. Andras Szakal again took the stage to discuss mitigating maliciously tainted and counterfeit products with standards and accreditation programs. The Open Trusted Technology Provider™ Standard (O-TTPS) is an open standard to enhance the security of the global supply chain and the integrity of Commercial Off The Shelf (COTS) Information and Communication Technology (ICT). It has been approved as an ISO/IEC international standard. Afternoon tracks consisted of Healthcare, IT4IT™, Open Platform 3.0™ and Professional Development. Speakers came from organizations such as IBM, Salesforce, Huawei, HPE and Conexiam. The evening culminated with an authentic Texas BBQ and live band at Laguna Gloria, a historic lakefront landmark with strong ties to Texas culture. Wednesday, July 20 was another very full day. Tracks featured Academia Partnering, Enterprise Architecture, Open Platform 3.0 (Internet of Things, Cloud, Big Data, Smart Cities), ArchiMate®. Other companies represented include San Jose State University, Quest Diagnostics, Boeing, Nationwide and Asurion. The presentations are freely available only to members of The Open Group and event attendees. For the full agenda, please click here. In parallel with the Wednesday tracks, The Open Group hosted the third TOGAF® User Group Meeting. The meeting is a lively, interactive, engaging discussion about TOGAF, an Open Group standard. Steve Nunn welcomed the group and announced there are almost 58,000 people certified in TOGAF. It is a very large community with global demand and interest. The key motivation for offering the meeting is to hear from people who aren’t necessarily ‘living and breathing’ TOGAF. The goal is to share what has worked, hasn’t worked and meet other folks who have learned a lot from TOGAF. Terry Blevins, Fellow of The Open Group, was the emcee. The format was an “Oxford Style” debate with Paul Homan, Enterprise Architect, IBM and Chris Armstrong, President, Armstrong Processing Group (APG). The Proposition Declaration: Business Architecture and Business Architects should be within the business side of an organization. Chris took the ‘pro’ position and Paul was ‘con’. Chris believes there is no misalignment with Business and IT; business got exactly what they wanted. Paul queried where do the Business Architectures live within the organization? BA is a business-wide asset. There is a need to do all that in one place. Following the debate, there was an open floor with audience questions and challenges. Questions and answers covered strategy in Architecture and role of the Architect. The meeting also featured an ‘Ask the Experts’ panel with Chris Forde; Jason Uppal, Chief Architect, QRS; Bill Estrem, TOGAF Trainer, Metaplexity Associates; Len Fehskens, Chief Editor, Journal of Enterprise Architecture, along with Chris Armstrong and Paul. Organizations in attendance included BMC Software, City of Austin, Texas Dept. of Transportation, General Motors, Texas Mutual Insurance, HPE, IBM. A more detailed blog of the TOGAF User Group meeting will be forthcoming.